You may be too old to be afraid of ghost, but you should be afraid of what Hollywood has in store for you with Ghostbusters (2016). The highly anticipated reboot debuted their first official trailer not too long ago. Many fans of the original films were really looking forward to this release, but from what I gather they are extremely disappointed. Now…I’ll be honest. I haven’t seen the original ghostbusters films (braces for impact). No one is hurting me? Ok good. I have read articles and seen videos about them in the past and understand what made them great. At some point, I plan on watching the original films prior to the 2016 release so I can better appreciate it. The latest trailer looks to be a giant studio misstep attempting to reboot a popular franchise. The premise seemed overly simple, and not for the better (like John Wick). 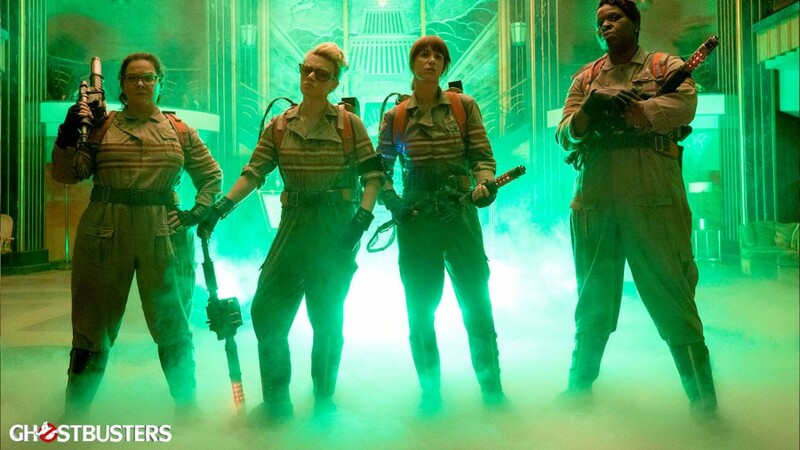 Essentially, these female scientist are going to save the world from more “enhanced ghost”. First off, this whole “lets reboot things by making things bigger” idea has really got to stop (Force Awakens, Independence Day: Resurgence, London Has Fallen, Jurassic World, etc.). Making elements from a previous film bigger doesn’t necessarily mean better. Sometimes you can deal with it, and other times its just cringe-worthy. Secondly, I’m not sure what moron decided an all female cast was the right direction for the franchise. Now, I’m not saying casting females is a bad idea, but I am a little concerned that there was no mention of any of the original cast members. It would be a shame if the film decides not to include them. Included in the cast are Kate McKinnon, Melissa McCarthy, and Kristen Wiig. I personally really enjoy Kristen Wiig as an actress, however, I have a big problem with Melissa McCarthy. Am I the only person that is a little tired of ordering the McCarthy? She has been type-casted as the clumsy chubby woman in practically every film I’ve seen her in. I’ve had enough! She isn’t a bad actress and she definitely can do much more than that. I don’t personally feel that her humor fits within this trailer and it doesn’t bode well for the film. Speaking of humor, I don’t think one single joke landed for me. I’ve seen the trailer several times and not once did I laugh. If you knew me well, you would know that I laugh at pretty much EVERYTHING. I’m the weird guy watching a Disney movie who laughs heartedly at every single joke. I probably frighten children with my bellows. I know humor and this film did not display one particle of laugh-out-loud material. Guys, I am really worried about this reboot. I’m afraid it may fall victim to this reboot obsession Hollywood has had. Hopefully I am way off target…until then, I will be watching the originals!